BuzzFeed has announced a journalism-orientated documentary series produced in partnership with Netflix. Launching on 9 July, the weekly 20-show run of 15-minute episodes will go behind-the-scenes as its journalists pursue a variety of stories. An initial YouTube trailer for the series, titled Follow This, shows clips from an investigation into ASMR. Announcing the news on social media, BuzzFeed’s editor-in-chief expressed excitement at the venture. A host of writers for the digital media brand will front episodes throughout the season, drawn from a range of bureaus and departments. Netflix has begun experimenting with its format and distribution strategy in recent times – announcing plans to introduce a collection of 15-minute stand-up specials. The BuzzFeed announcement follows a string of high-level newsroom redundancies at the company’s UK office in January 2018. 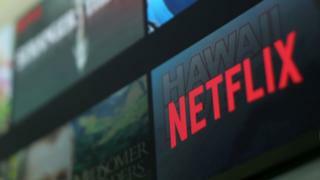 Claire Enders, of Enders Analysis, told BBC News: “This is really one of the first times that Netflix seems to be interested in getting into news. “I’m hesitant to think that Netflix will have committed massive budgets to this, but it’s a way of expanding their schedule from drama, comedy and movies. Its platform expansion mirrors Vice’s decision to launch its own TV channel, ViceLand, in 2016, to accompany its online articles and YouTube video documentaries. The channel remains on-air despite low initial UK viewing figures and the company’s recent financial difficulties.